Disconnect & remove two decommissioned cast iron boiler shells with oil package burners, separate sections and disconnect waterways from the system network. Drain & disconnect hot water system and two existing aged & leaking hot water calorifiers. Crane lift the existing boilers out through the skylight access hatch. Crane lift in 2 x Hamworthy power stock 800 L glass-lined calorifiers. 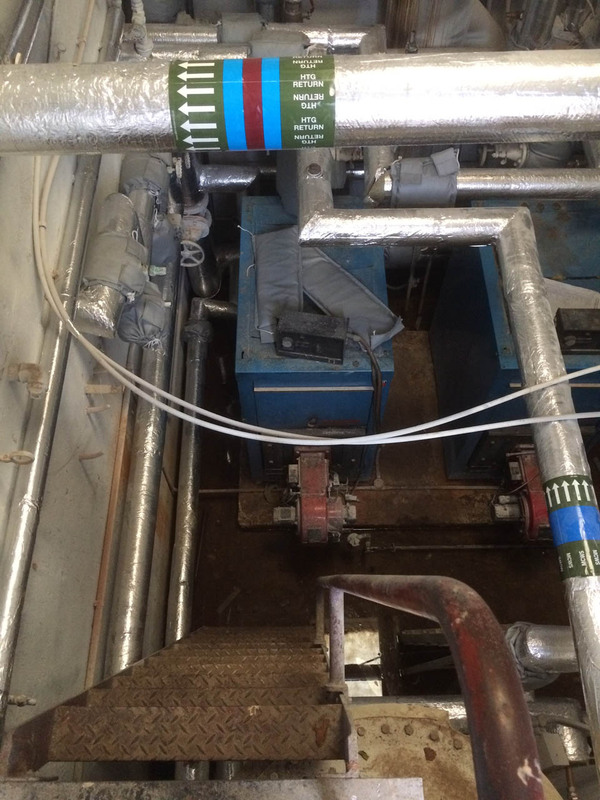 Replace aged 3 port diverter valves and alter pipework to accommodate new calorifiers. Install new pipework support system from the ceiling due to walls being asbestos treated. 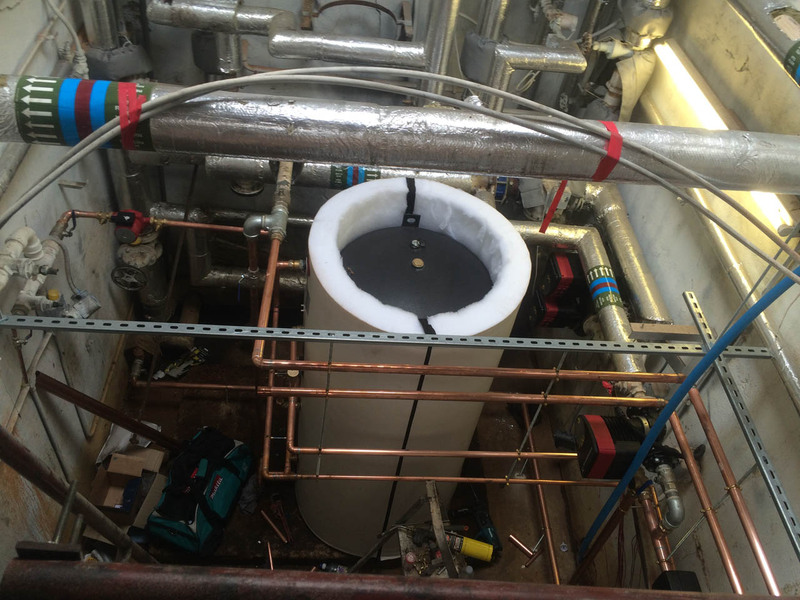 Install new pipework to connect new calorifiers into the hot water supply system. Insulate pipework & commission system.